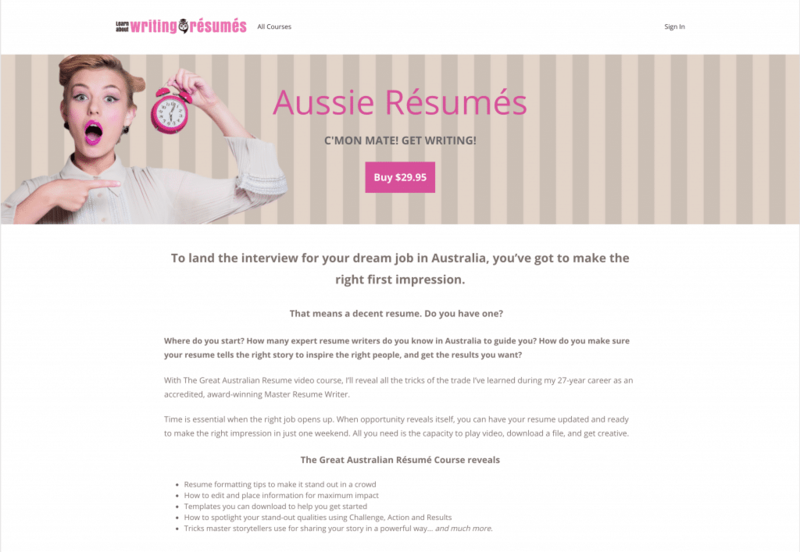 Write the Great Australian Resume! So you’ve just seen the dream job advertised. But it’s Saturday and there’s no time for professional help. The answer is: you start here. This fun, video-based training written and narrated by Gayle Howard, gives you all the tricks and insights you need to make those critical adjustments to your resume you so stand out in a crowd. Actionable guidance and downloadable templates makes this a no-brainer.